Packaged as a hardback 'flip book', this edition features nearly 400 pages of new content as well as exquisite new back cover art. Readers will relish experiencing the deeply romantic and extraordinarily suspenseful love story of Bella and Edward through fresh eyes. Twilight has enraptured millions of readers since its first publication in 2005 and has become a modern classic, redefining genres within young adult literature and inspiring a phenomenon that has had readers yearning for more. The novel was a Sunday Times and New York Times bestseller, a Time magazine Best Young Adult Book of All Time, an NPR Best-Ever Teen Novel, and a New York Times Editor's Choice. 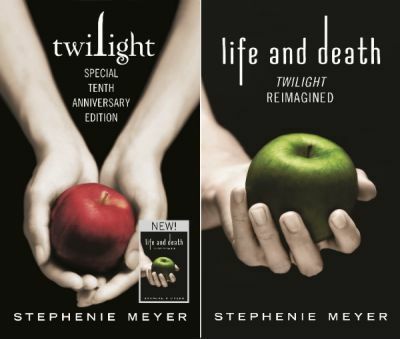 The Twilight Saga, which also includes New Moon, Eclipse, Breaking Dawn, The Short Second Life of Bree Tanner: An Eclipse Novella, and The Twilight Saga: The Official Illustrated Guide, has sold nearly 155 million copies worldwide.